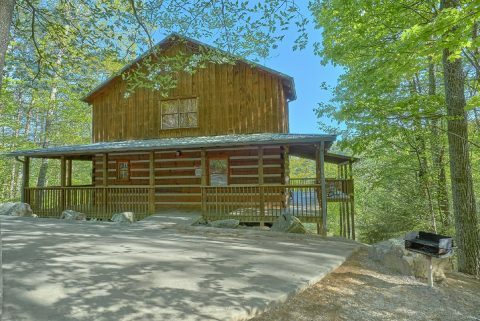 Looking for a secluded cabin in the Smoky Mountains with a fire pit? 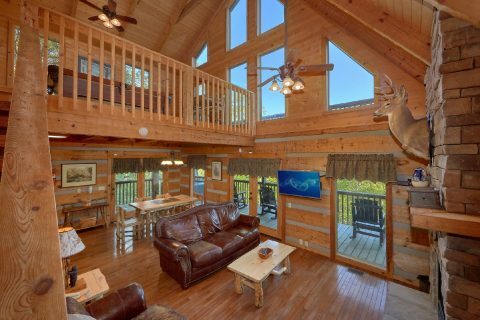 Check out "Mountain Glory," a beautiful Sevierville cabin that's located just off of Bluff Mountain Road near Pigeon Forge, TN! 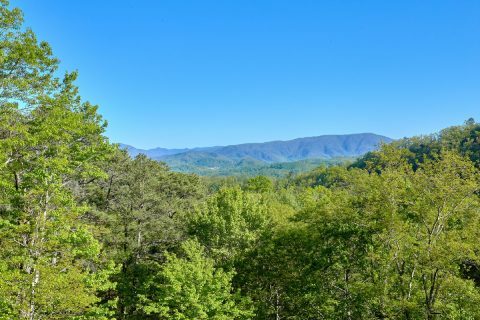 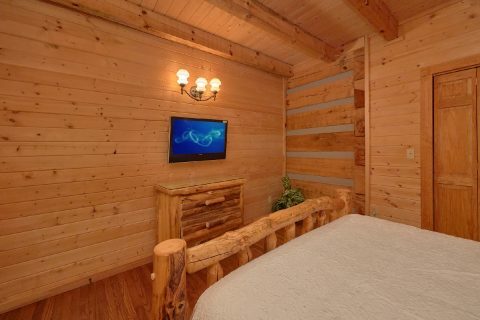 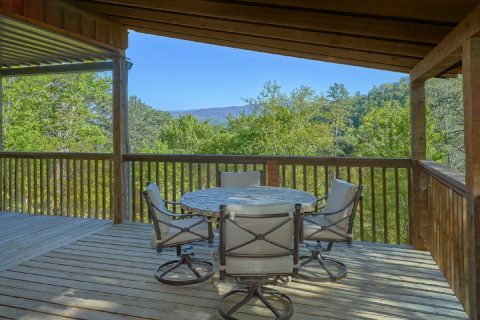 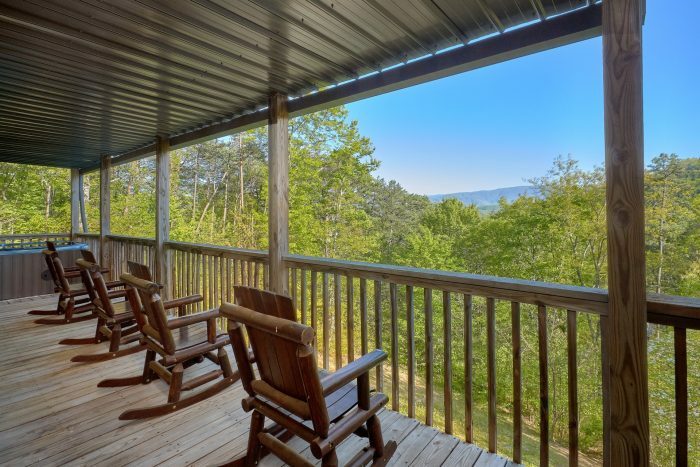 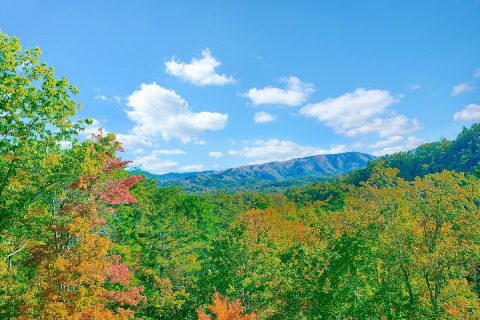 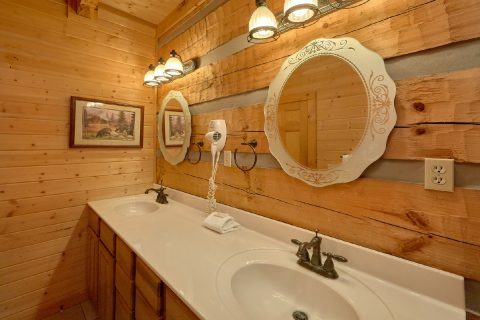 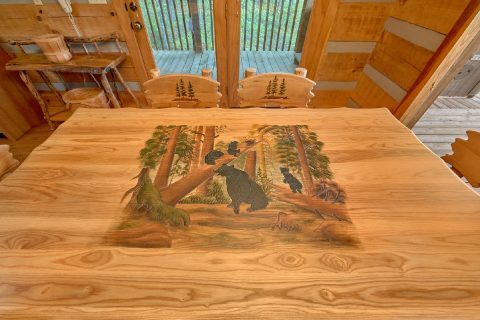 With a great location that's only 5.5 miles from Downtown Pigeon Forge and a peaceful forested property that boasts a mountain view, this cabin is ideal for relaxing or exploring the top attractions that the Smokies have to offer. 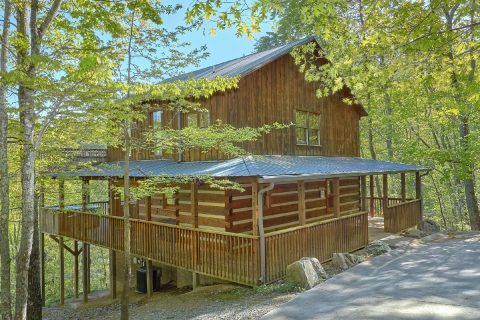 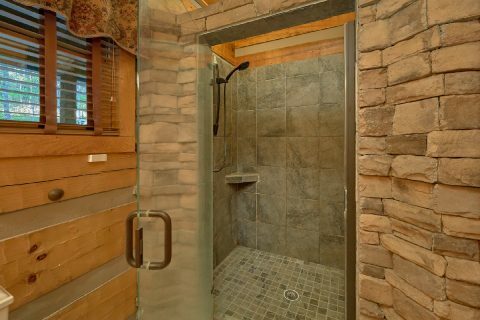 When you aren't busy experiencing Dollywood Theme Park or hiking to waterfalls in the Great Smoky Mountains National Park, you'll love spending time at this cabin that has everything you need to unwind. 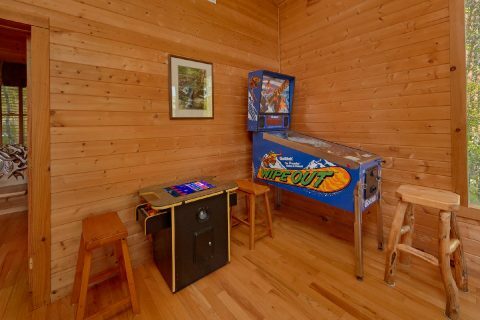 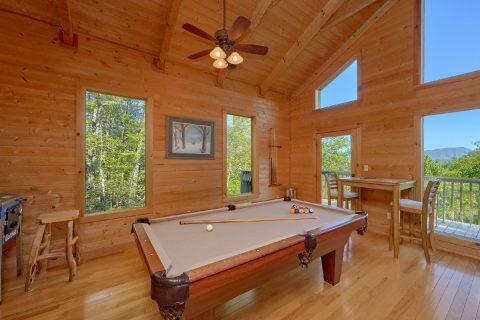 From the double-sided fireplace that's shared by the living room and the deck to the upstairs game room with a pool table, two arcade games, and a checkers table, there's plenty of ways to kick back at this cabin. 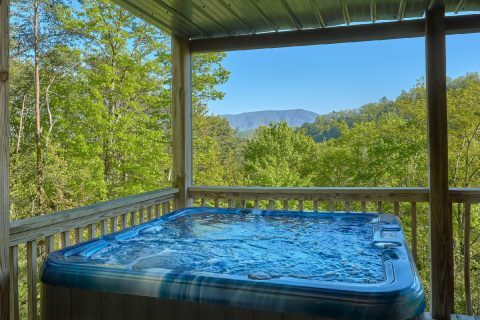 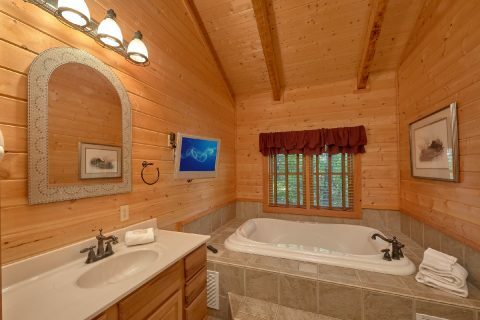 With the hot tub on the deck, you can enjoy sitting back in steamy waters while you enjoy the crisp mountain air. 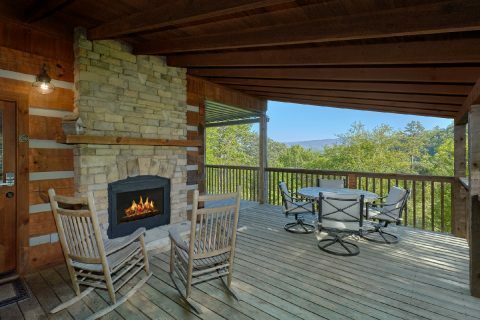 Outside by your cabin's fire pit area with a charcoal grill, you can relax in nature while you grill some tasty burgers. 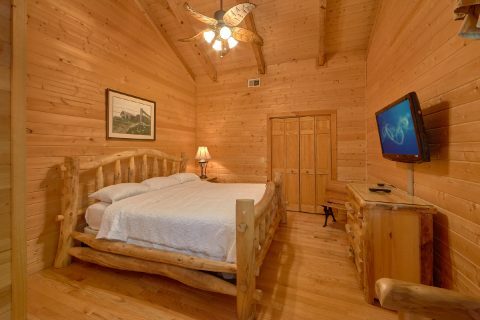 For getting a good night's rest, you can look forward to sleeping in this cabin's queen bedroom on the main level or the king bedroom on the upper floor with a bathroom with a jacuzzi tub. 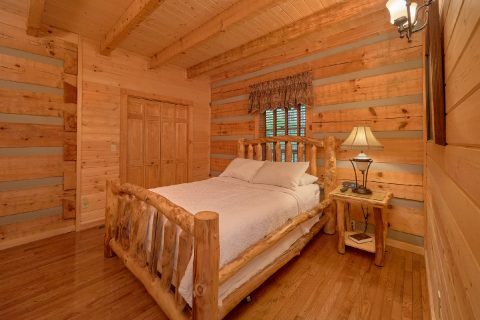 With 2 comfortable bedrooms this cabin can easily sleep up to 4 guests in comfort. 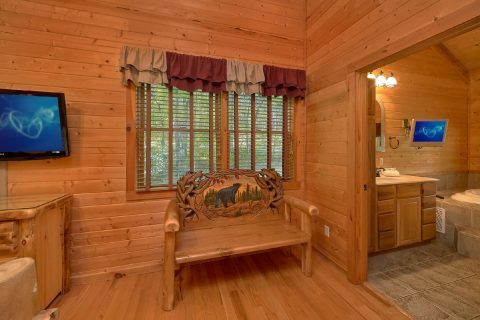 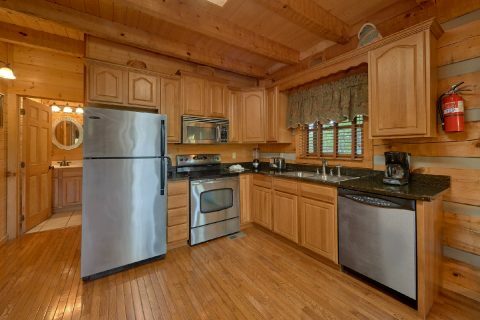 Lastly, this cabin features useful amenities like a charcoal grill, a full kitchen, WiFi Internet, and a round-about driveway for your convenience. 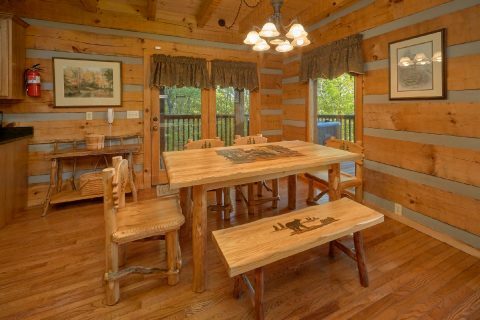 Best of all, you can reserve this cabin with a special 15% discount when you book "Mountain Glory" with Cabins USA Gatlinburg! 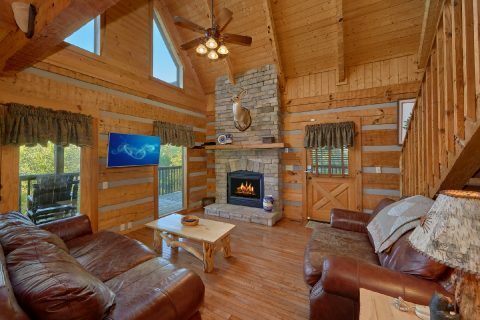 Start planning an excellent getaway to the Smokies and save on your cabin vacation!